These three quotes come from the 2015 Rivlin Report by His Honour Geoffrey Rivlin. They are addressed to criminal barristers, but these points apply no matter what area of law you are doing an advocacy exercise in. 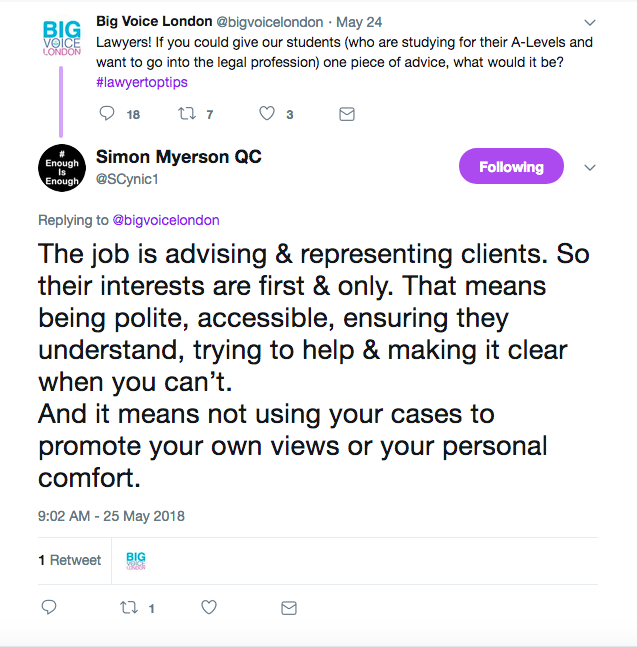 You need to prepare thoroughly: in this case, it means knowing the structure for the types of advocacy exercises you are likely to encounter. You need to master the brief you are given within the time allocated. You need to look at the relevant law and/or procedural rules (usually given along with the brief) and focus primarily on the key issues as you see them. You also need to think pre-emptively about the objections that will be raised and how you will address them. How do I prepare for advocacy exercises? You need to have ready notes on the structure/key components that go into the typical advocacy exercises you are likely to encounter. For example, for criminal sets, you are likely to be asked to do either a bail application or a plea in mitigation. You should have notes on these prepared ahead of time. Separately, you should practise reading a bundle at speed and answering questions on it. If you are a BPTC student, this might be a service offered by your careers department. If not, or if you are studying a different course, ask your careers department or a tutor you like to help put some papers together so you can practise. Failing that, ask a friend to help question you on a set of papers. 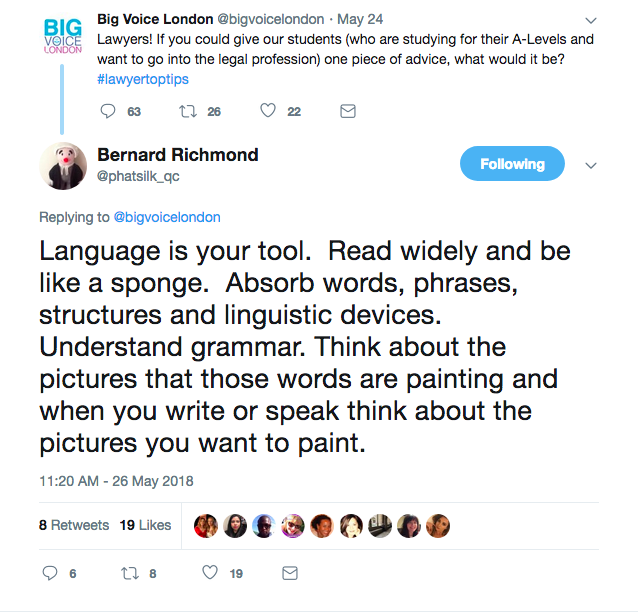 Finally, remember that your experiences of mooting/debating and the preparation that you will have done for them – as well as the pupillage process itself – should serve you well as you prepare for an advocacy exercise. 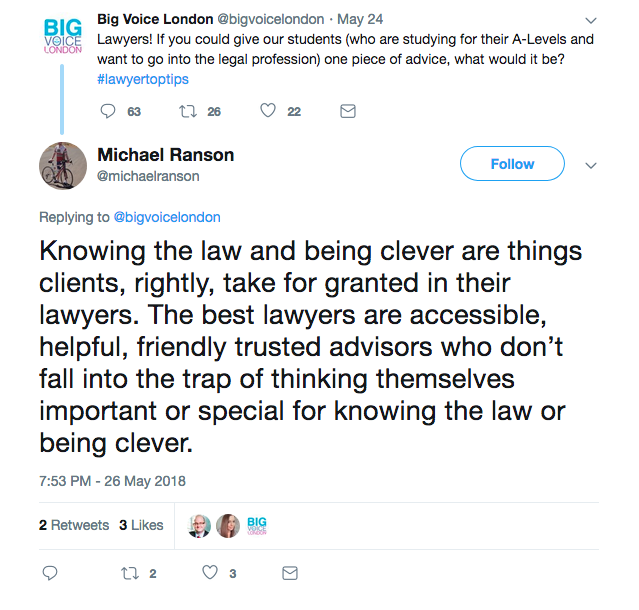 The balloon debate is a popular pupillage interview question, especially for first-round interviews. Similar to other exercises where you are expected to be persuasive, the balloon debate tests your ability to think quickly, form a view, and defend your position. In short, the balloon debate is a hypothetical situation where you are on a hot air balloon. Typically, the panel will tell you who else is in the balloon with you. It will usually be three famous and/or contentious people in the public eye. However, be prepared for the panel to ask you which three people (living or dead) you would choose to join you in the hot air balloon, and why. Due to excessive weight in the balloon, it is descending rapidly and one person must jump off (and subsequently die) so that everyone else can be saved. The panel will ask you to present and defend an argument as to who should jump off in order to save you and the other passengers. The panel will interject and try to throw you off course. Stay calm. Take a deep breath, and politely respond to their points. Frequently, once you have argued your position, the panel will then ask you to argue in favour of another person, which essentially asks you to put on a different hat, and completely contradict everything you have just argued. Top tip: don’t forget to structure your answer. Another top tip: practise these with a friend!